Yet, even inexperienced students can easily find the first job if they choose a proper strategy. 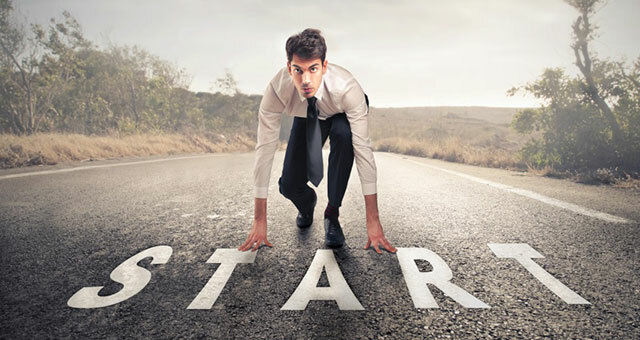 Here, we provide several effective methods for building your career from the very beginning. Searching for a job requires some preparation. Of course, the first thing you need to take care of is your resume. However, there is a list of other important details helping pass you the first stage of finding a job. The main problem of all newly graduated students is the inability to choose a proper direction for their searches. They want to find at least some job and have even no idea what path they want to pursue. According to the social studies, only 51% of students have selected their field of interest before they start to find the First Job After Graduation. Other students send their resumes replying to all open positions that have corresponding qualifications and requirements. Besides, it is crucial to decide what sphere is interesting to you. For example, you may be interested in technologies, social studies, or IT. The sphere should be selected according to your preferences and your interests. Of course, your education should also be involved in the choice of the direction. Investigate the job market. You should understand the requirements and skills for different positions. The preliminary investigation should also include salary rate and possibility to join a team as a trainee. The best way to find the most suitable variants for you is to check open positions at the biggest and most known companies. As a rule, students avoid sending resumes to large companies. However, most of them prefer to hire trainees and later on to invite them to join their team after the probation period. You have two ways of applying for a vacancy: sending you resume at the job marketplace, or contacting the company directly. Both of them have their advantages, but for inexperienced employees we recommend to choose the second one. Yet, it is not enough to send your resume and wait for the response. Your application should include your resume where you need carefully describe your previous experience (if you have it), your skills and your education. Add a cover letter to your resume. In cover letter indicate why you want to work in this company and why this position is perfect for you. In fact, a cover letter for applying for a position is very common to a scholarship application letter. Apply for several positions in different companies and prepare a cover letter for each of them. You can also connect with human resources representative of a company and ask if there are any trainee positions open. Make sure that your online life creates a proper impression of you. HR representative of a company always checks social networks of a potential employee. That is why it is better to delete all provocative photos, reposts, and posts (or at least change the confidentiality settings). What to do when you get invited to the interview? Receiving an invitation to the interview does not mean that you get a job offer. Now, you need to impress your potential employer and recruiter so that they decide to take an inexperienced and young person to their team. The first impression plays a crucial role. If you want to dispose your potential employee and recruiter, you need to remember about three key points: dress properly (ask the recruiter about corporate dress code before the interview); find a role model and follow its behavior; stay positive and open to discussions. Before you go to the interview, check social networks of the company. You need to understand the priorities and the goals of your potential employer. First of all, it will help you choose a proper line of communication during the interview. Secondly, you need to understand what you will receive if you eventually join this team. Checking corporate culture, you can also understand the way the interview will be led. That will help you understand your model of behavior and create a communication strategy. In order to impress your potential employer, you need to present effectively. Besides, you need to lead the conversation properly throughout the interview. Prepare some of the phrases at home, check the recommendations on conversation strategies, and some facts that can prove your desire to join the company. There are many classes on presentations and oratory, so if you feel the necessity for additional practice with communication, take these classes. Many employers conduct stress interview for trainee positions. In this way, they can check whether a person can take decisions in unexpected situations and how stress affects his behavior. Besides, employers frequently ask tricky questions or give complicated tasks. Even if you understand that you cannot cope with the task, use this opportunity to demonstrate your best skills, personal traits, and knowledge. The easiest way to fail your interview is to start lying about your experience and skills. If you do not have any, just tell the truth. Show your desire to learn something new and to enhance your knowledge of a certain sphere. Even if no one notices your lie during the interview, they will notice it when you get this position. If you want to find the First Job, do not lose your time. Thousands of other students apply for the positions of your dream, and they can get them before you even decide to send your resume and cover letter. Your carrier is waiting for you!